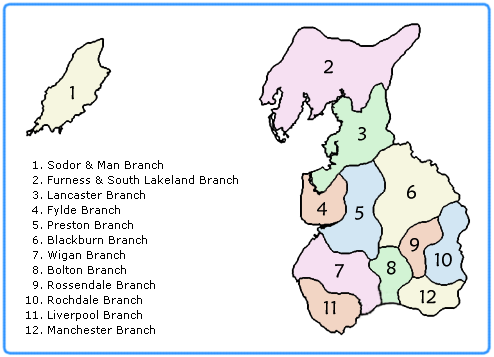 The Lancashire Association is divided up into 12 local branches. Each branch covers a specific area of the old County of Lancashire and its periphery. Towers located in modern day Lancashire, Greater Manchester, Merseyside, Isle of Man, and parts of Cumbria, Cheshire and Yorkshire are encompassed by the LACR.